I’m delighted that Crooked Lane Books has saved the Lighthouse Library Series, first published by Penguin Random House. 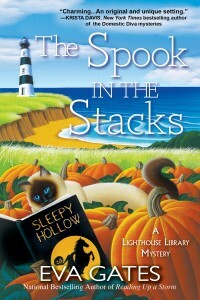 This series is written by me, under the pen name of Eva Gates, and THE SPOOK IN THE STACKS, is the fourth. It is now available at all your favourite places. Pre-order at Amazon.com, Amazon.ca, Barnes and Noble, Indy-Bound and fine bookstores everywhere. 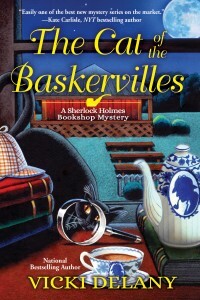 The Cat of the Baskervilles, the third Sherlock Holmes Bookshop mystery. Available from all your favourite booksellers.